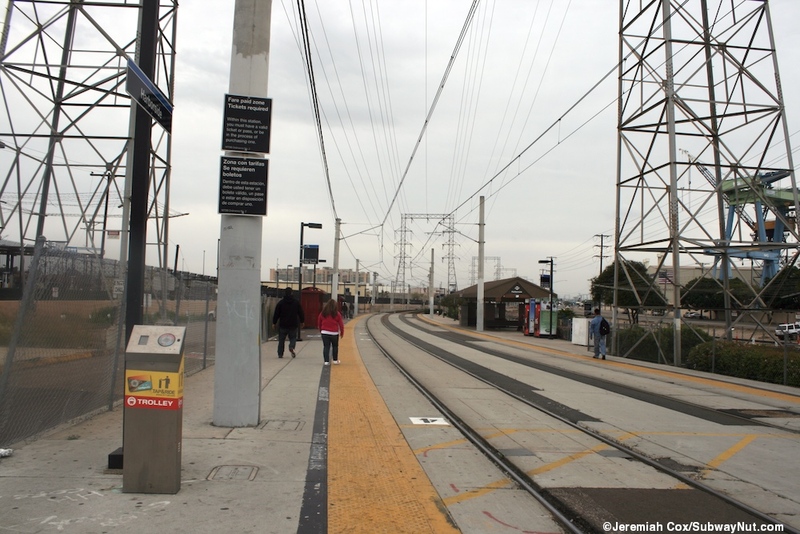 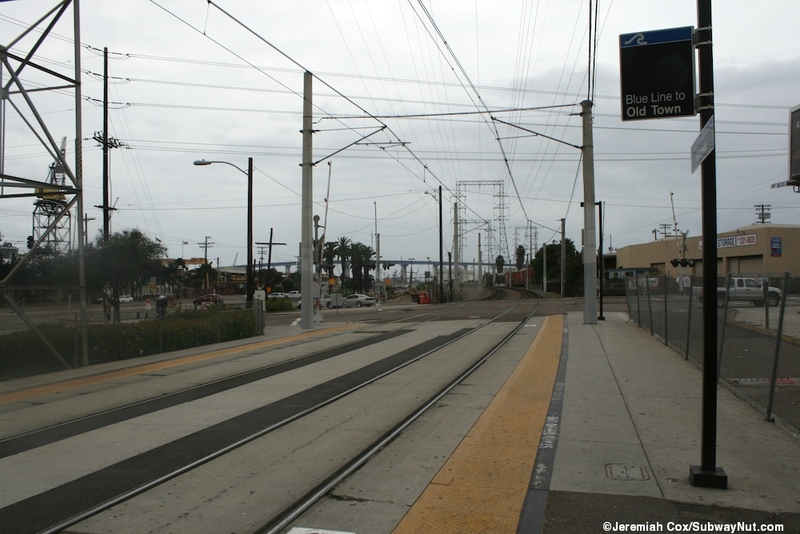 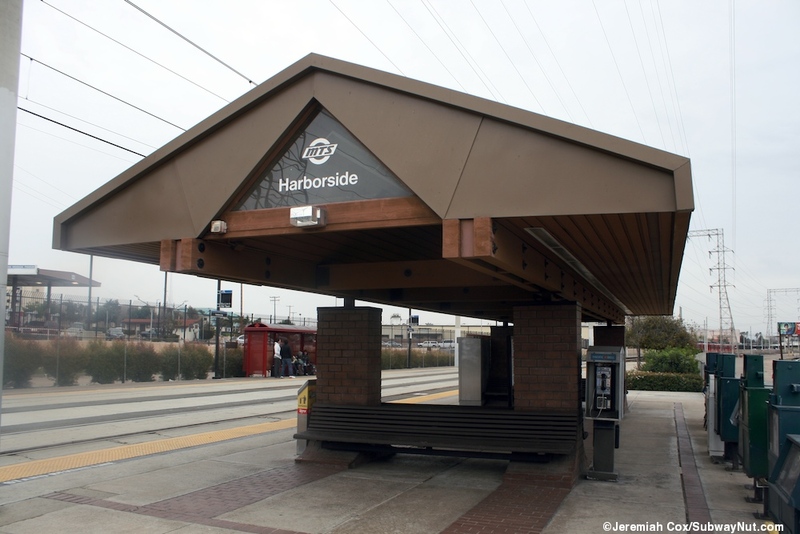 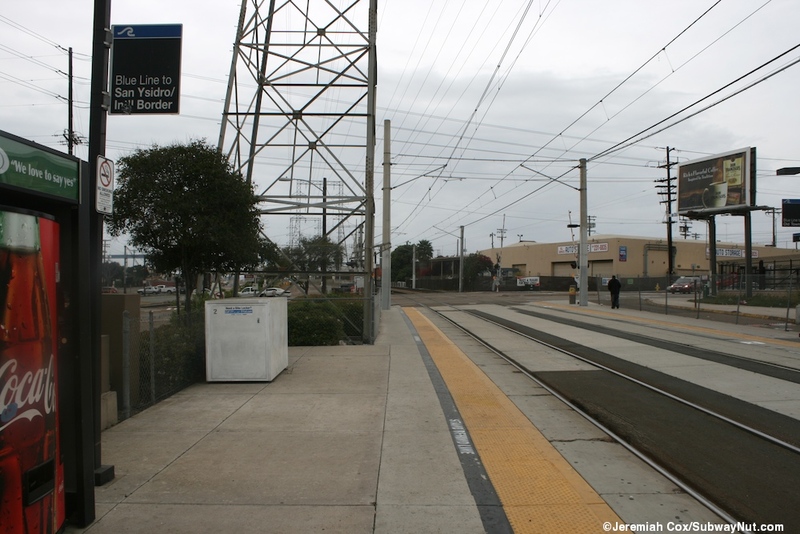 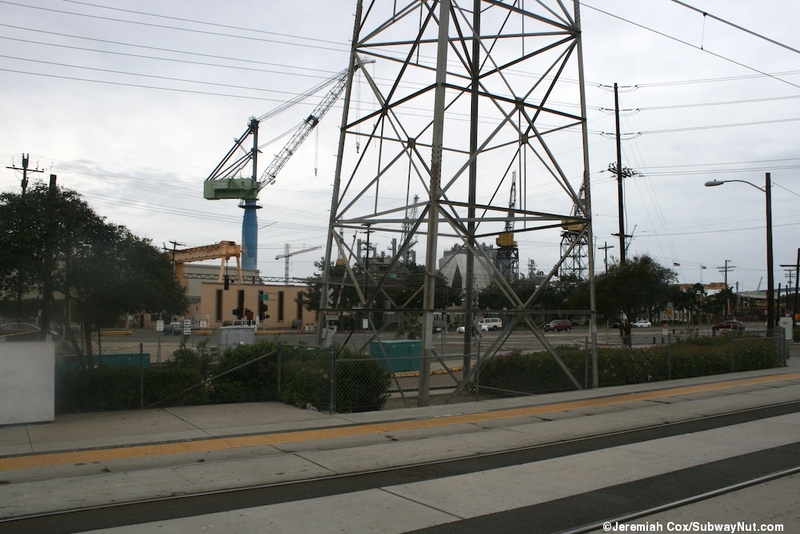 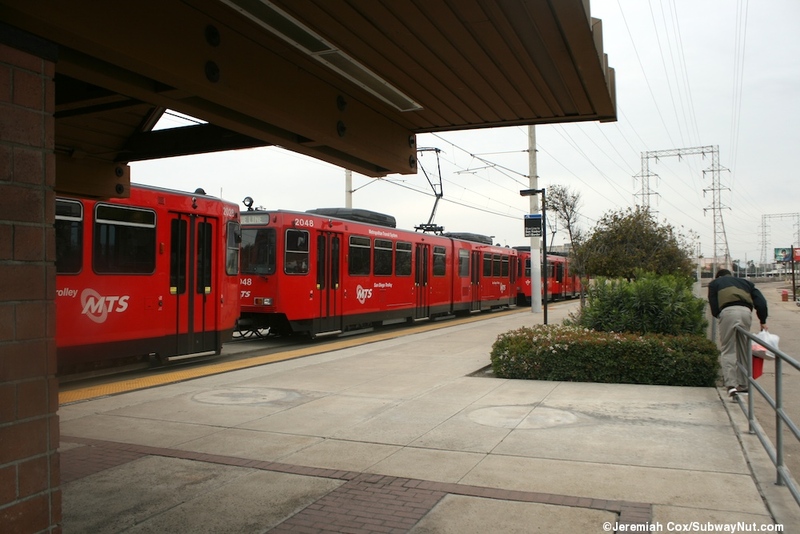 Harborside is an original San Diego Trolley Station without parking and the ground-level platforms (connected by a tarred over middle area for their entire lengths) beginning and extending southeast of the 28th Street grade crossing. 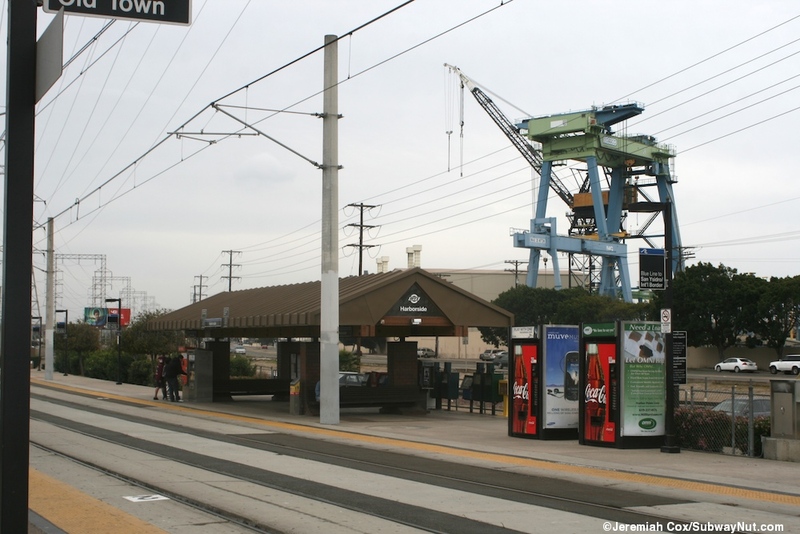 The San Ysidro platform is alongside Bay Avenue and has the standard brown pavilion-type canopy structure. 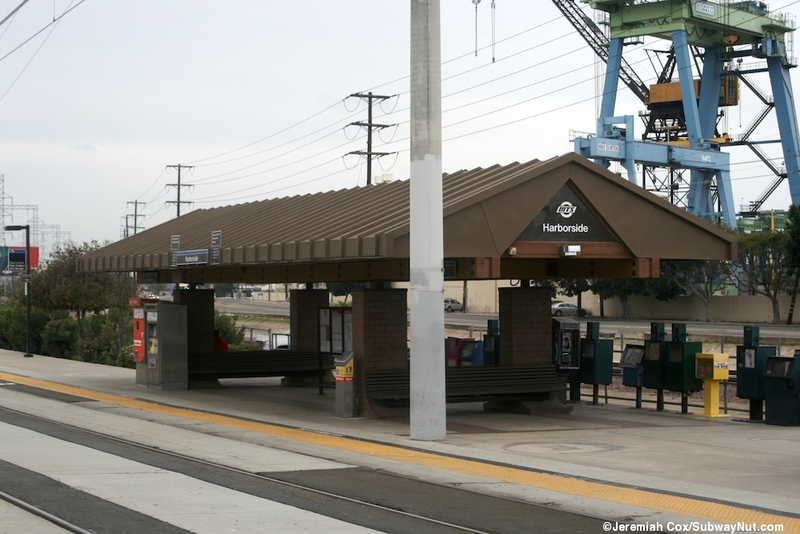 The San Diego-bound platform just has two red bus shelter-type canopies for waiting passengers.